Everyone loves tuning into the celestial jukeboxes such as Spotify or Tidal. Yet there’s still something oh-so-satisfying about slipping a vinyl single out of its sleeve and slapping it onto the platter. Maybe it’s the pride of owning a tangible music artefact, or the meditative process of delicately placing a tonearm onto those grooves every seventeen minutes or so. The good news is that vinyl still sounds sensational if you invest in the right kit – and the joy of wax is now open to all. For instance, here are four affordable models that can all be instantly hooked-up to most audio systems because each one has a built-in ‘phono stage’, so there’s no need for a specialist pre-amp to perform that role. They are super-simple, too, but don’t mistake ease-of-use for low-ball performance. These decks will get your mojo working with aplomb for less than the price of an arm-full of actual vinyl. So what are you waiting for? Get rifling through your loved-ones’ lofts for that killer stash of long-forgotten 12-inches. What? 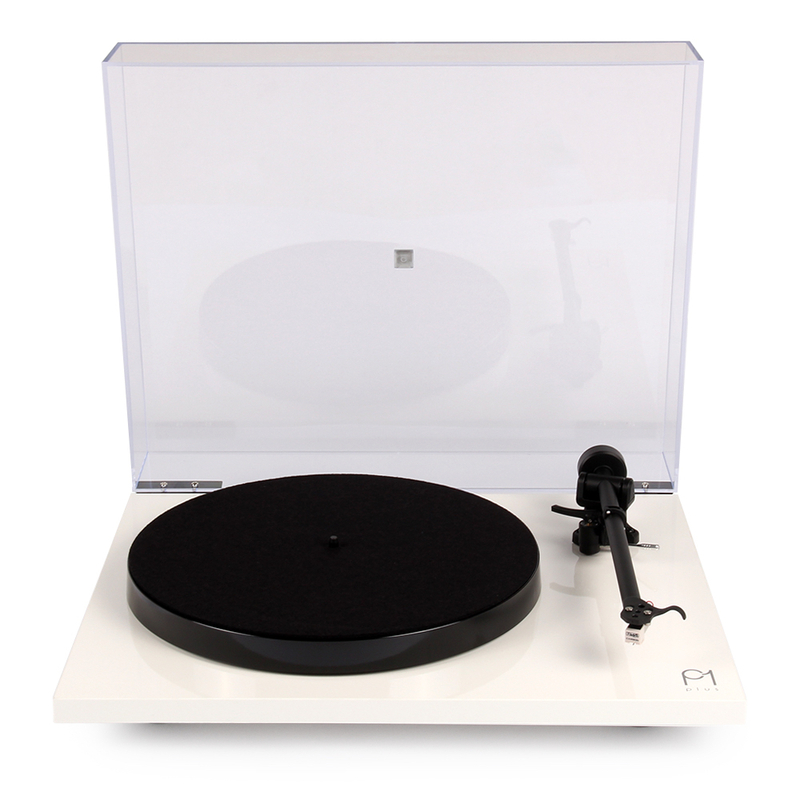 Rega is, one of the best-known names in turntables and the shiny new Planar 1 Plus upgrades the firm’s superb entry-level model by adding a built-in preamp into the mix. Why? Your money buys not one, but two award-winning products in a single glossy plinth with a classy white or black finish. 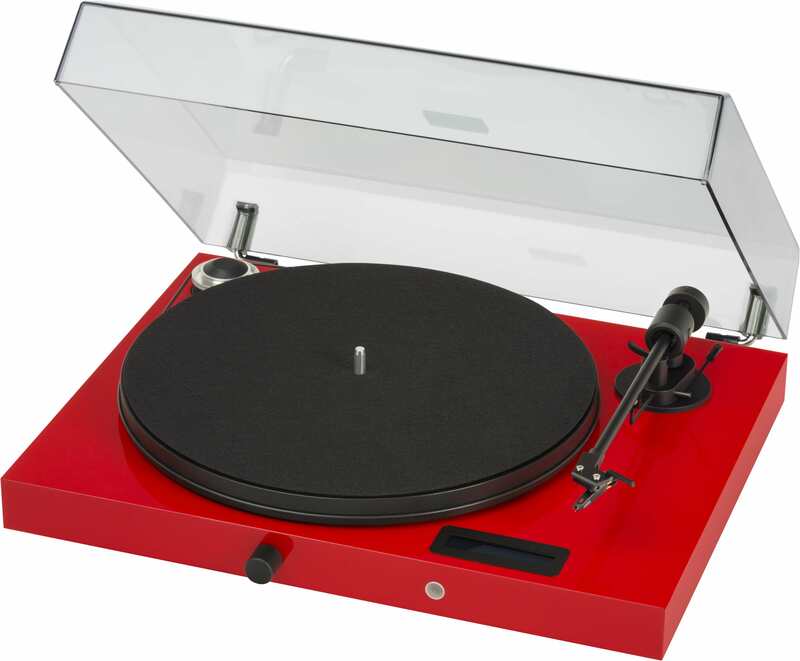 Set-up takes minutes and, once hooked up to suitable speakers, there’s no mistaking that distinctively punchy Rega sound. It’s lush. Why not? Unlike its rivals, there’s no USB-output to record directly onto a computer. Aside from that, it’s a belter. Move swiftly, because the Planar 1 Plus will be extremely popular. What? This is a stripped-down clone of the classic Technics SL1200 deck, beloved by DJs all over the world. Even so, the Audio Technica delivers surprisingly robust build-quality for the money, plus a sprinkle of unexpected digital tricks, such as a USB-output for recording. Why? Nothing says “party time” louder than a proper turntablist ripping up the wax and if you’re eager to pick-up these skills on a shoestring budget, the LP120-USB is an easy win. Why not? A few technical compromises were made to hit this price and if you’re serious about mastering the one-and-twos, consider the LP-140 at roughly £450. While the sound is good, the emphasis of both these models is live performance. 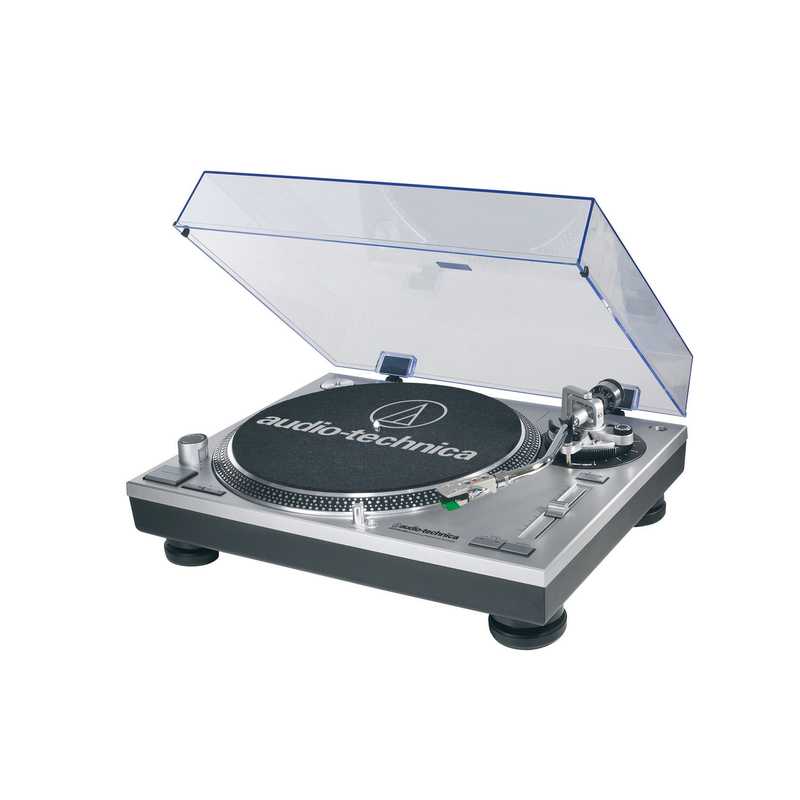 However, the non-DJ Audio Technica AT-LP5 model will give any of the decks here a run for their money in sonic terms. What? A super-slim model offering solid sound quality and an impressive suite of software. Why? This deck was originally priced at nigh-on £500 and well regarded at that price-level. These days, it’s a serious bargain. Best of all, Sony bundles software that enables you to easily digitise your vinyl as ‘high-res’ tracks. Handy for recording those hard-to-find rarities. Why not? 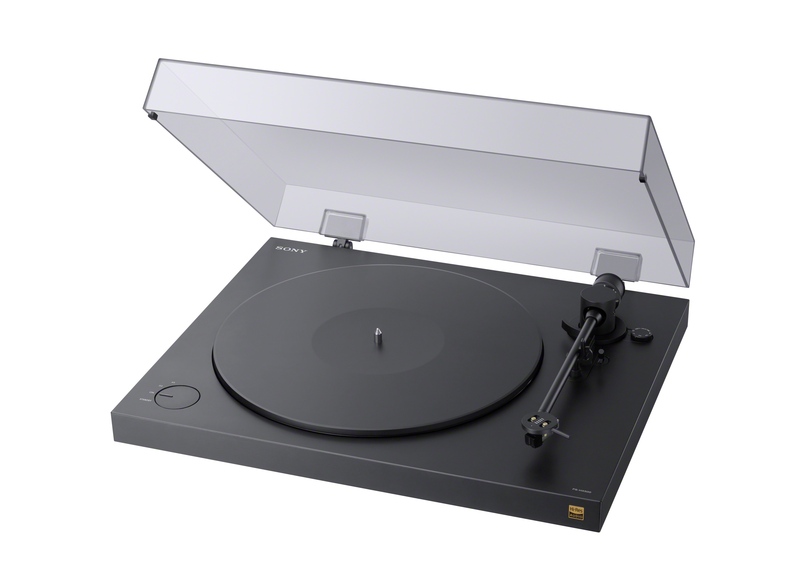 The styling of this deck is merely functional compared to rivals – and while the Sony brand carries plenty of kudos, it does not have the same heritage among vinyl fans. What? A truly unique audio system based around a stylish vinyl deck from the doyenne of budget turntables. The Jukebox E actually contains a built-in power amplifier and a bluetooth receiver too. Simply connect a pair of stereo speakers and you are good to go. Why? Unlike most all-in-one record decks, the Jukebox E sounds impressive once hooked up to some suitable speakers (Pro-Ject sells a matching pair for £120 extra). Better still, it’ll playback music from, say, a phone either via its Bluetooth widget or a standard line-input. Why not? The amp lacks a little wallop for larger rooms and its vinyl abilities are slightly outgunned by some of the one-trick performers on parade here. Nevertheless, for sheer versatility and overall value, this bad boy has plenty to boast about. Recommended.